Can you imagine a world where everything is delivered to you. Well RealCADENCE™ Web does exactly that through our messaging workflow interface. From completed Audits, Completed Tasks, Problem Reports, Communications, Reports and Video. Think of it as Messaging on steroids. All of the information being delivered is dynamic through our Multi-threaded messaging, including workflows and reporting that allows you to respond and update immediately. The biggest benefit is that your departments, and managers will be up and running in minutes. No need to look for data it finds you. RealCADENCE™ Web is simply the most powerful tool for your organization consolidating all information and communication from one source. Contact one of our service consultants and learn how to try RealCADENCE™ for FREE. For advanced users. RealCADENCE™ provides management workflows that allows you to pivot on any data, by comparing , analyzing, reviewing, and reporting through the most intuitive interface delivering a user experience second to none. RealCADENCE™ workflows allows you to find that needle in the haystack. A single manager can approve, validate and visualize data across thousands of locations in one pass. The benefit is doing more with less, allowing organizations to deliver savings to their bottom line. 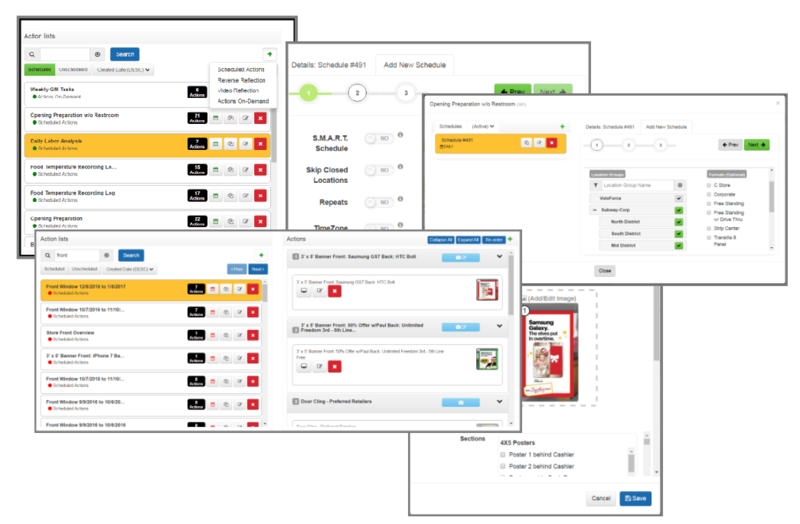 RealCADENCE™allows users to push Actions, Tasks, Checklists, Surveys, Forms, Content, and a variety of attachments delivered to users by unique attributes through an intuitive creation wizard. Within minutes users can create and collect data from one to thousands of locations, through SMART scheduling or using dynamic sensors an analytics to fire off tasks. Organizations can create selectable tasks with SLA's that build trends uncovering operational issues that generally go unseen. Users can use the same organizational defined Actions to send tasks to management that are delivered through our exclusive RealCADENCE™ WorkFlow Messaging Inbox. Let us show you how RealCADENCE™ helps you create operational excellence. 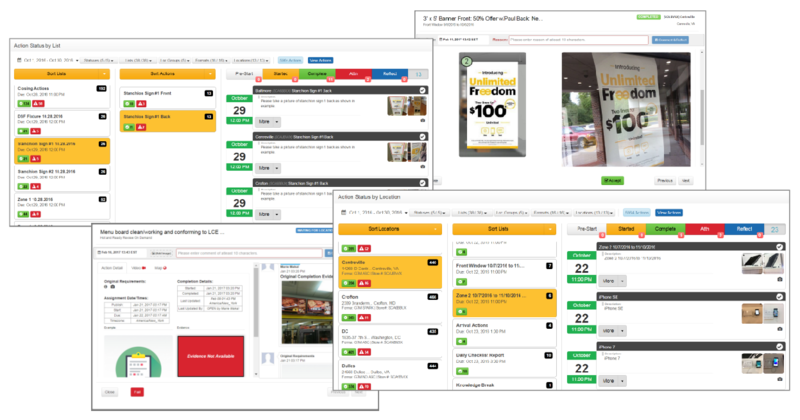 RealCADENCE™ is for: Retail, QSR, Restaurants, Facilities, Property Management, Security, Fleet Management, Transportation, Remote Management, Data Collection, Government.